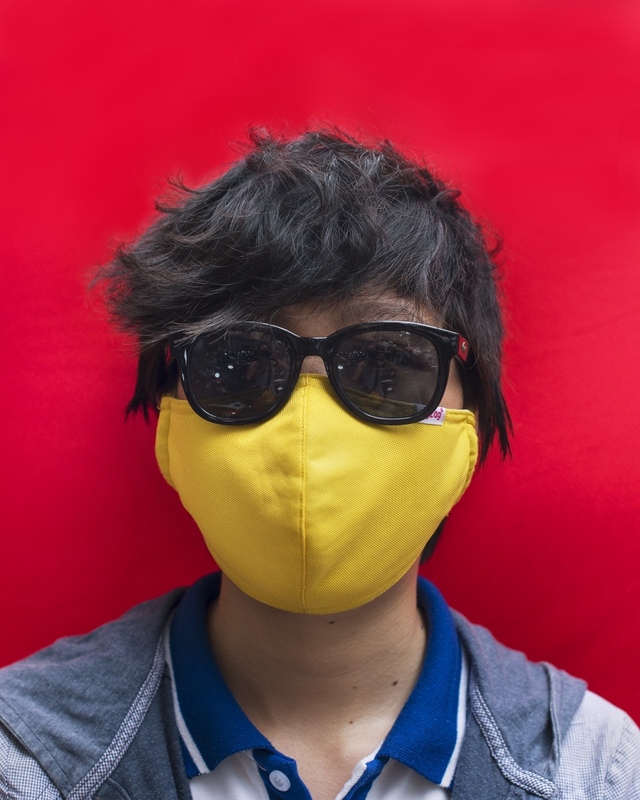 With most of their faces covered they all become alike, they all become one. 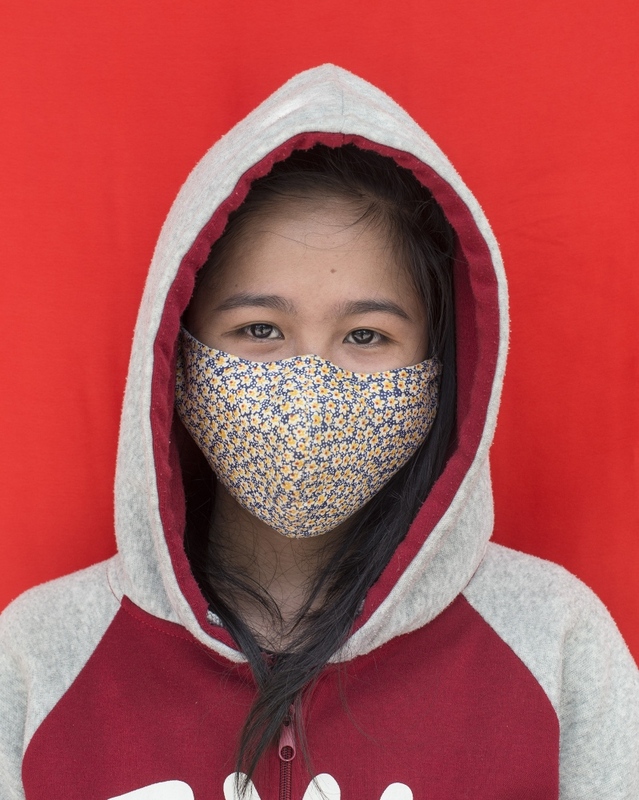 ‘Saving Face’ is a collection of portraits taken in the streets of Vietnam that aims to comment on the environmental, beauty and class concerns that are arising in Vietnam’s changing consciousness. 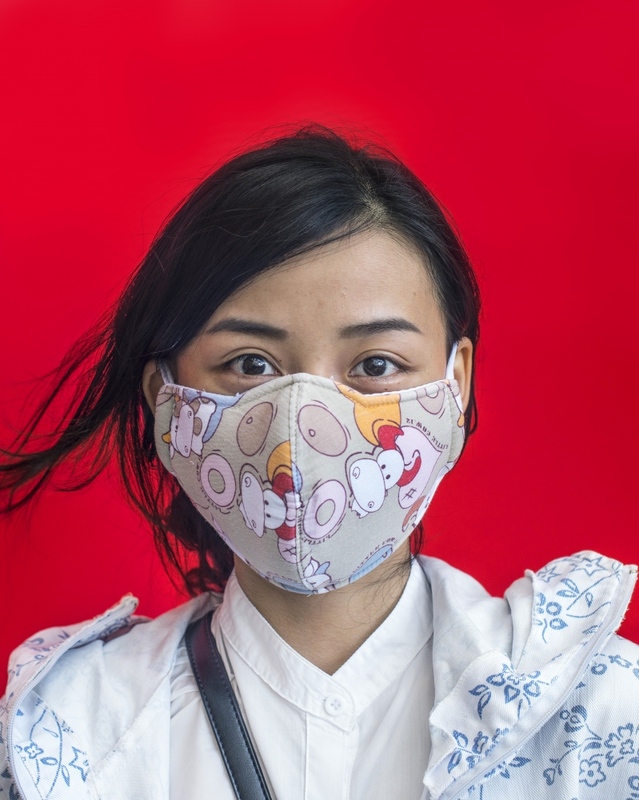 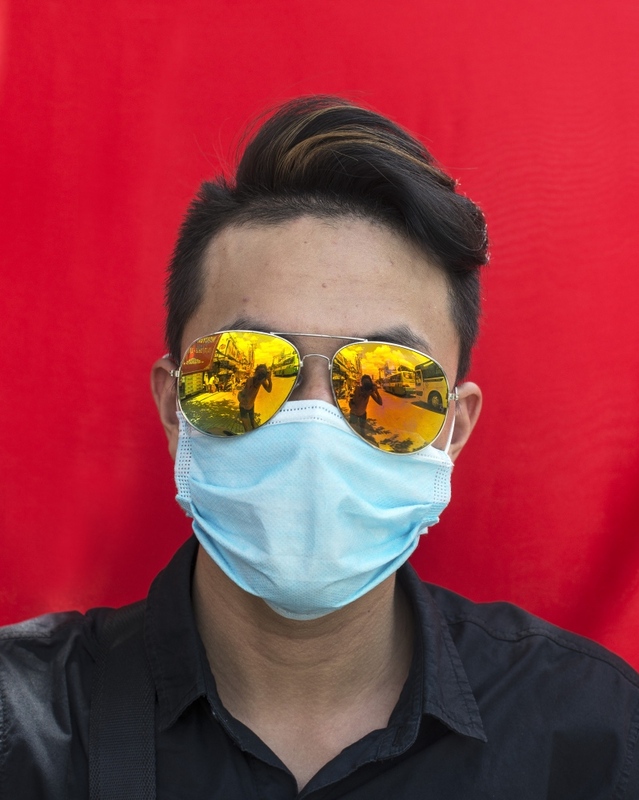 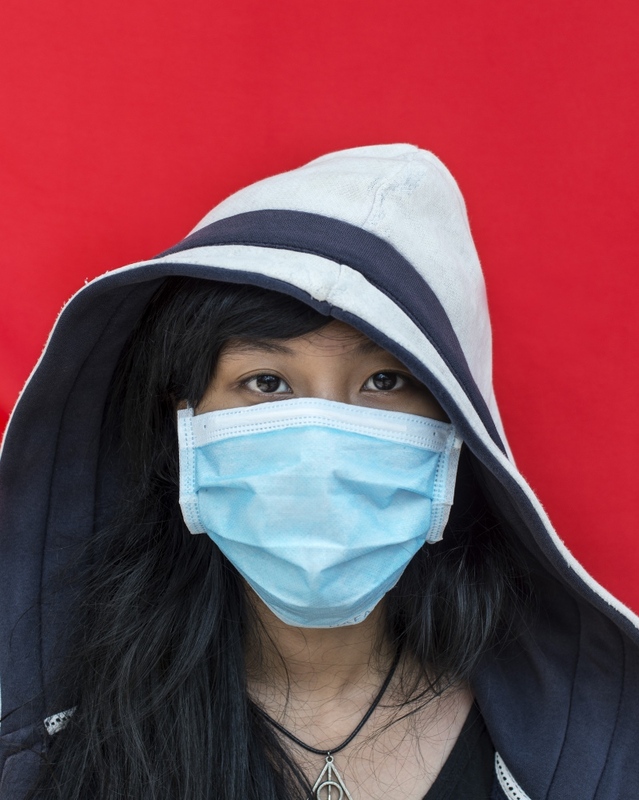 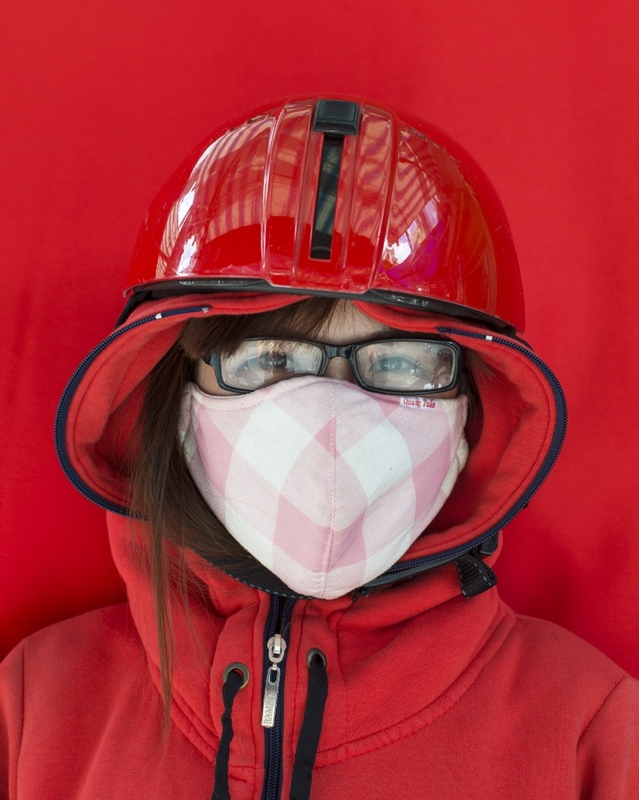 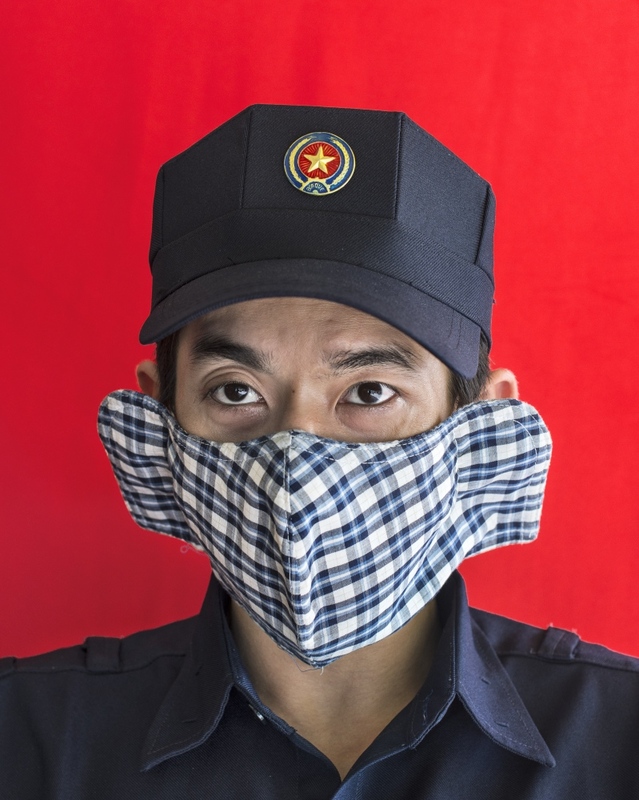 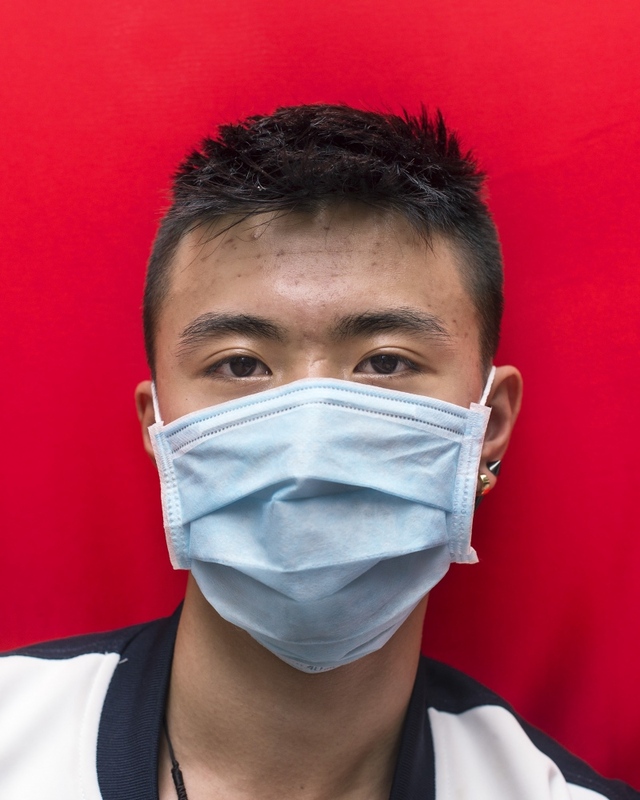 In the streets of Vietnam’s major cities young men and women walk around wearing face masks. 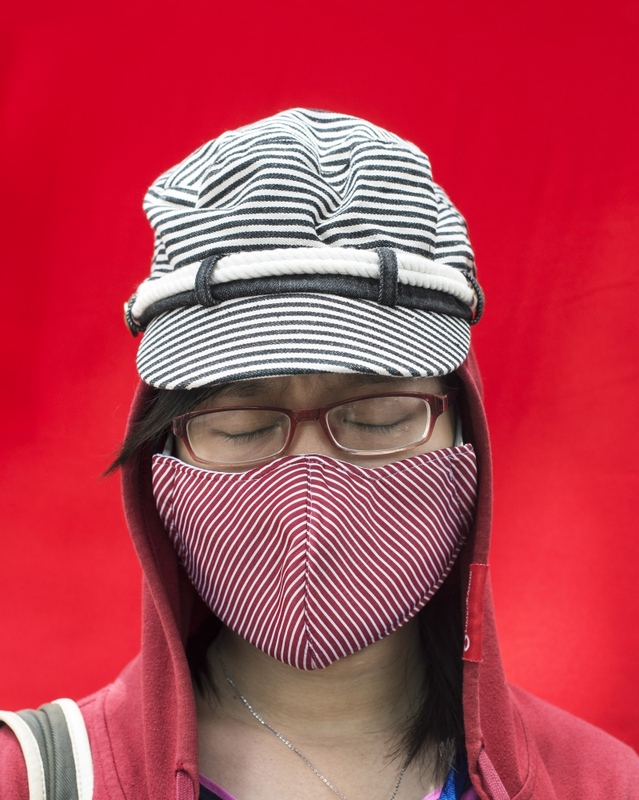 With most of their faces covered they all become alike, they all become one. 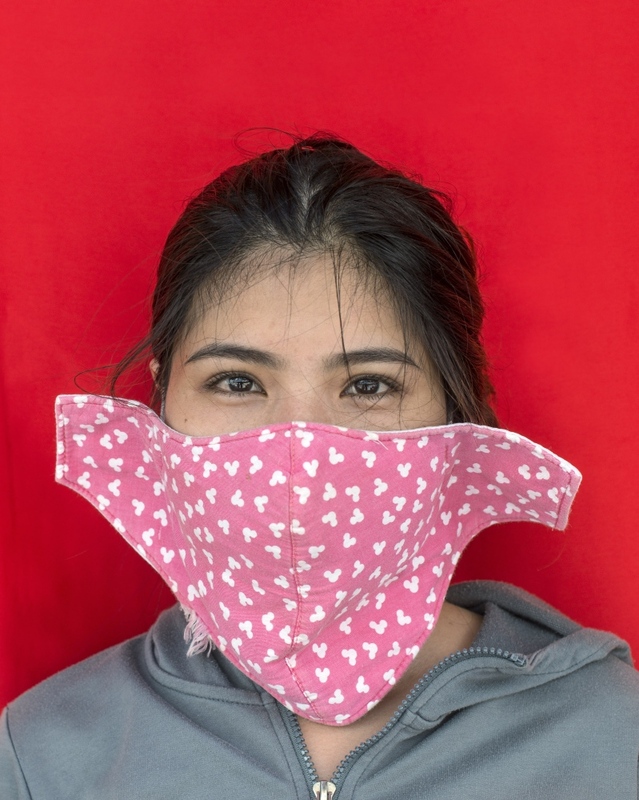 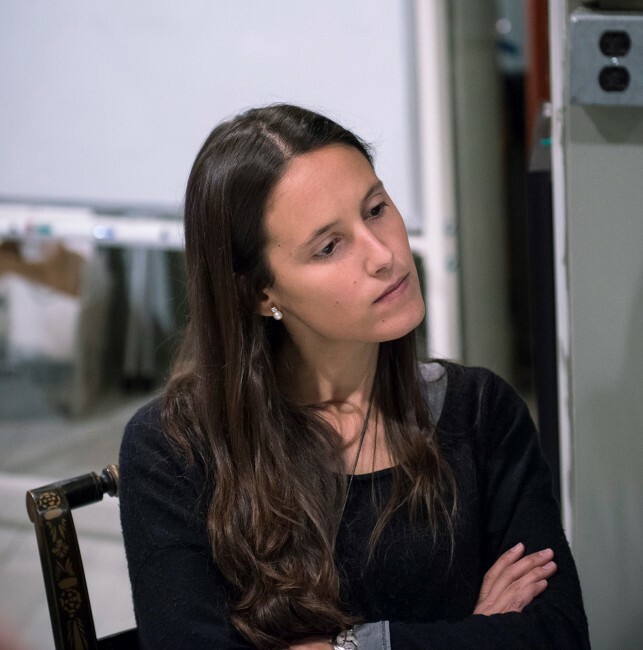 Yet the range of designs and shapes reveal personality clues that highlight individuality, bringing the viewer closer to imagine the person who lies beneath the mask. 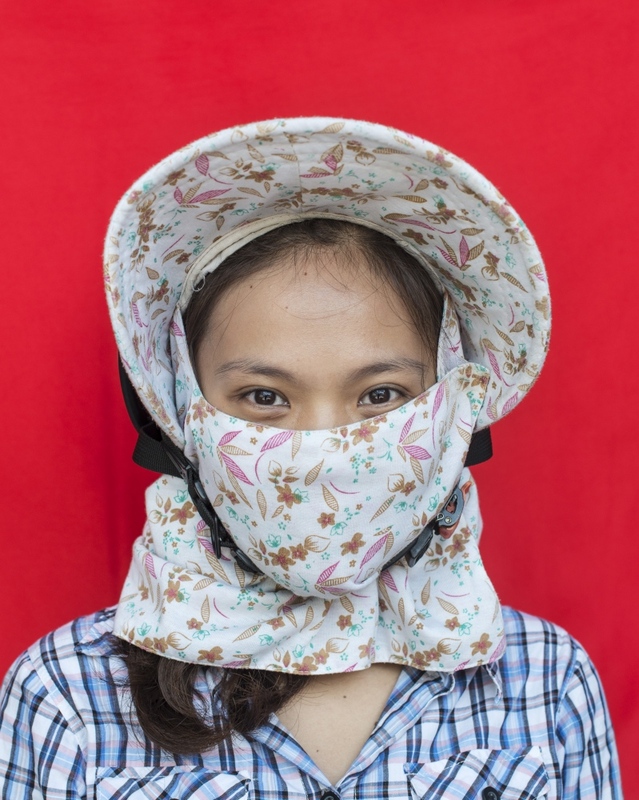 In the transition towards a fast-developing country Vietnam has witnessed an enormous flow of people migrating from the countryside to large cities. 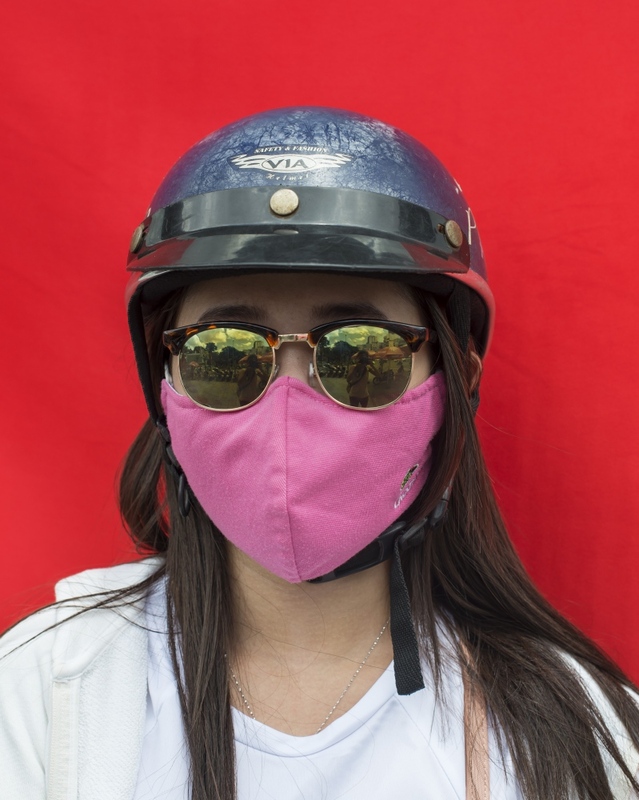 Consequently, the number of motor vehicles that jam its cities has increased immensely, causing an alarming rate of pollution. 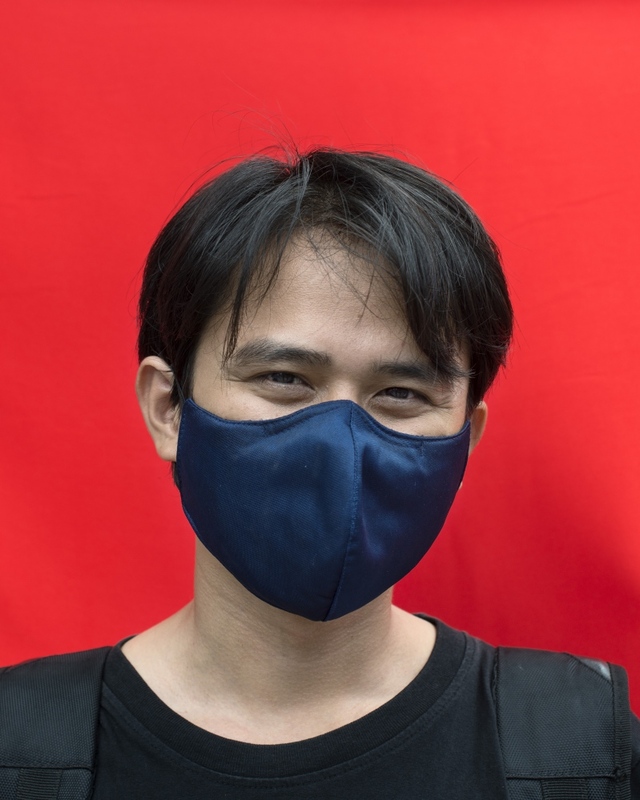 The new generation have decided to take action and protect themselves from being exposed on a daily basis to the contaminated air with the mask. 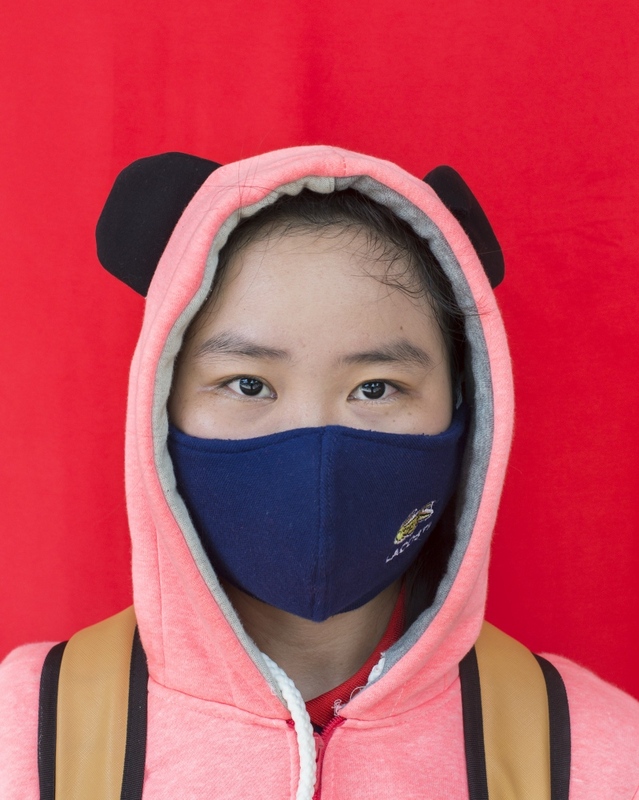 However, the mask plays a dual role, since its popularity has also grown due to an increasing concern among the youth to have pale skin. 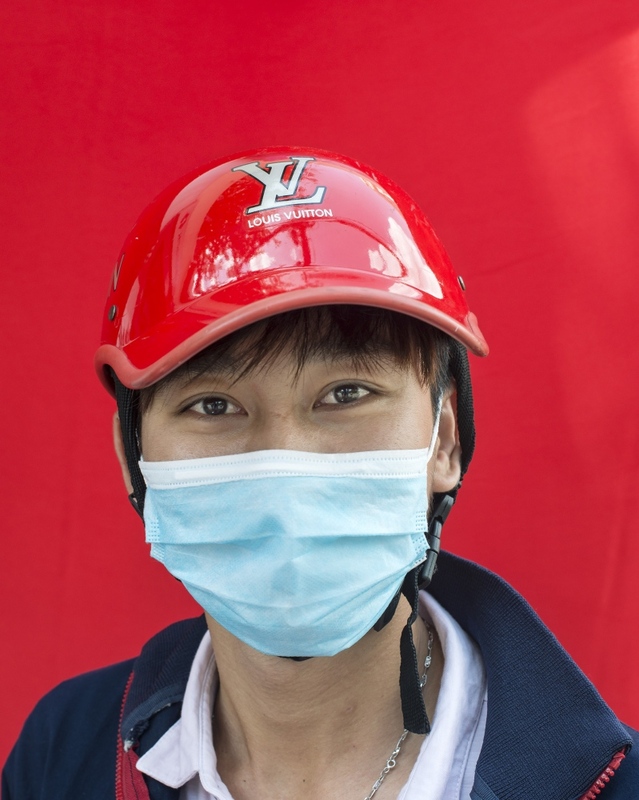 The obsession for white skin - a sign of beauty among many asian cultures, especially women - has eventually reached Vietnam’s growing middle class.